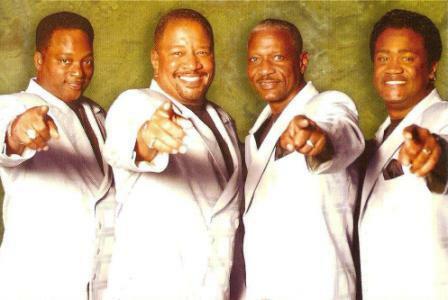 The Stylistics were created from two Philadelphia groups, The Percussions and The Monarchs and the Stylistics were born! After signing to Avco, the record label approached producer Thom Bell, who had already produced a catalogue of hits for The Delfonics, to work with the group. The Stylistics auditioned for Bell, and he was initially unimpressed. He ultimately only agreed to produce the group because he believed in the great potential of lead singer Russell Thompkins Jr.'s distinctive, nasal high tenor falsetto voice. Avco gave Bell complete creative control over the Stylistics, and he proceeded to focus the group's sound exclusively around Thompkins's voice. On most of the group hits Bell would have Thompkins sing virtually solo. The first song the Stylistics recorded together with Bell and his collaborator, lyricist Linda Creed, was the lush "Stop, Look, Listen (To Your Heart)". Bell imported the techniques he had perfected with The Delfonics, and his arrangements worked perfectly with Thompkins' falsetto. The bittersweet lyrics from Creed were a key factor in creating memorable music. Their hits from this period —distilled from three albums— included "Betcha by Golly, Wow" (U.S. #3), "I'm Stone in Love with You", "Break Up To Make Up" (U.S. #5), "You Make Me Feel Brand New" featuring a rare double lead with Airron Love, the aforementioned "Stop, Look, Listen (To Your Heart)", "You Are Everything", and the Top 20 Pop hit "Rockin' Roll Baby" (U.S. #14). "You Make Me Feel Brand New" was the group's biggest U.S. hit, holding at #2 for two weeks in the spring of 1974, and was one of five U.S. gold singles the Stylistics collected. 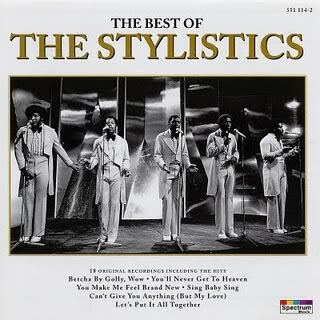 The Stylistics' smooth sound also found an easier path onto adult contemporary airwaves than other soul artists, and the group made Billboard magazine's Easy Listening singles chart twelve times from 1971 to 1976, with three entries ("Betcha by Golly, Wow", "You Make Me Feel Brand New", and "You'll Never Get to Heaven (If You Break My Heart)") reaching the Top 10. Every single that Bell produced for the Stylistics was a Top Ten R&B hit, and several—"You Are Everything", "Betcha by Golly Wow! ", "I'm Stone in Love with You", "Break Up to Make Up", and "You Make Me Feel Brand New"—were also Top Ten pop chart hits. This commercial success was not confined only to the U.S., with the band also having big hits with this material throughout Europe.